Download update JDK here: http://www.oracle.com/technetwork/java/javase/downloads/index.html, click the DOWNLOAD Java Platform graph. 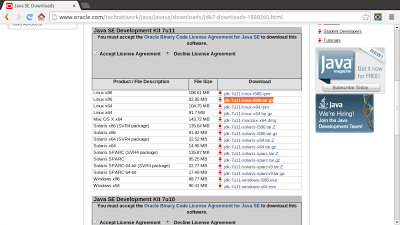 Scroll download to check the box of Accept License Agreement, and select the package to download. 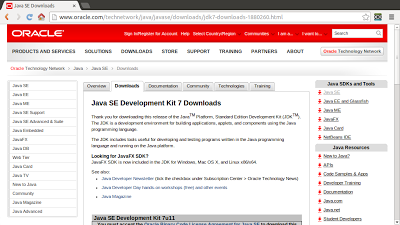 In this case, jdk-7u11-linux-i586.tar.gz for Linux x86 is selected. Move the downloaded .tar.gz archive binary to the directory you want to install. 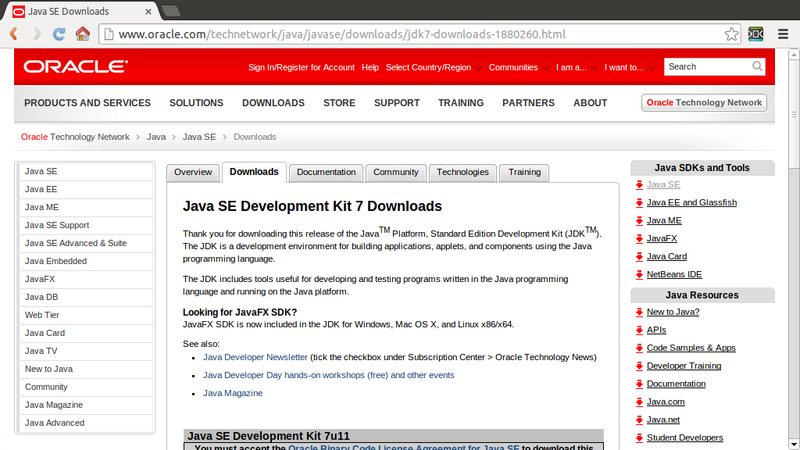 For example, if you download the .tar.gz is /home/you, your installed directory will be /home/you/jdk1.7.0_11. Finally, delete the downloaded .tar.gz after then. Go mobile with Java Magazine! 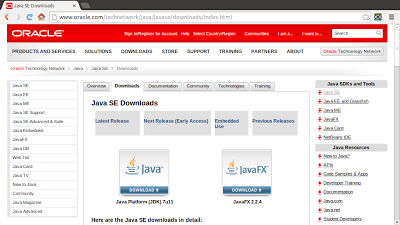 How to disable Java on Firefox? How do I test whether Java is working? Make ImageView scrollable, in ScrollPane.